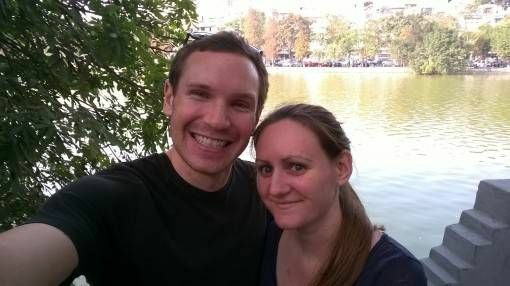 I fell for Hanoi when we first visited over a year ago, but has living and working in the city changed the way I feel? 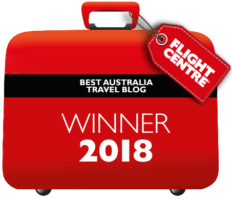 It’s true that since we moved here to teach English, Hanoi and I have had our ups and downs, but here are five reasons why I continue to love this crazy Vietnamese Capital. Hanoi can be an overwhelming place, a churning sea of traffic and movement, noise and pollution, people and lights. Navigating your way through the maze-like streets of the Old Quarter while trying not to get run over because you’ve been forced off the pavements by parked motorbikes can be exasperating. You may sigh and roll your eyes when drivers speed through red lights and feel half-deafened by beeping horns or hassled by men wanting to shine your shoes but one thing’s for sure: you’ll never be bored. I love the sheer chaos of Hanoi and its non-stop, frantic energy. 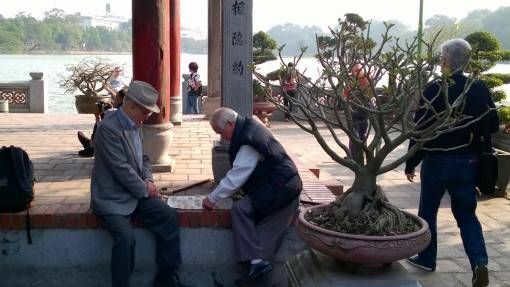 There will always be something new to see, like a man transporting a tree on the back of his motorbike, a pair of children playing badminton by the side of the road or women power-walking beside the lake at sunset. There will always be snaking streets to discover in the Old Quarter and different bakeries and cafes to try out. There will always be people moving in every direction at top-speed or conversely, lounging on plastic stools on the pavements watching the chaos unfold around them. We are extremely fortunate to earn a good wage here in Hanoi. Since the cost of living is so low by western standards, we live a very comfortable life here while still being able to save most of our salary. 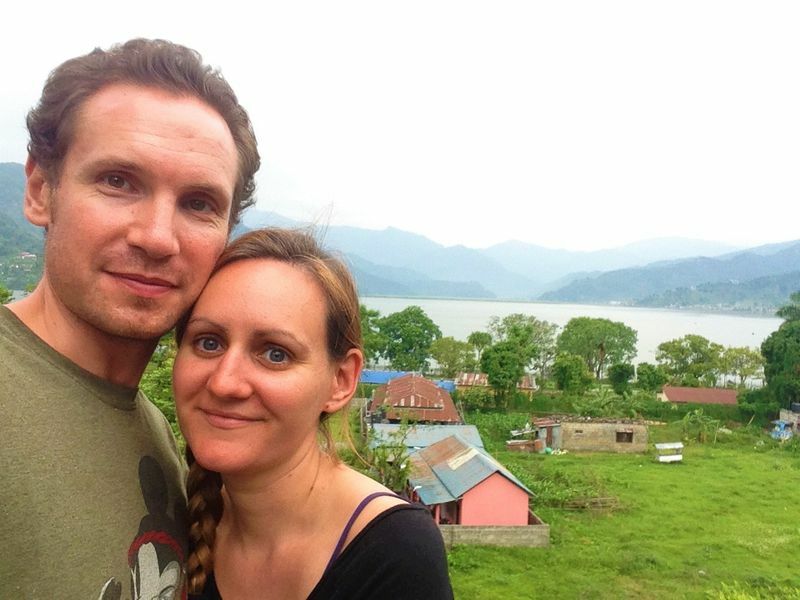 When we lived in London we paid more than double for rent, bills and transport as we do here; we couldn’t afford to eat out two or three times a week or get a weekly massage and we couldn’t have saved as much money as quickly as we have done here in Hanoi. In the UK I spend most of my life inside; I usually eat, work, relax and socialise indoors. By contrast, here in Asia much more of life is lived outdoors. Meals are a communal affair eaten in groups on tiny stools by the road-side, men cluster on the pavements to drink coffee and play checkers and shop-keepers hunker down outside their front doors to watch the never-ending stream of traffic and beckon customers inside. Children play on the pavements while women carrying baskets laden with fruit or doughnuts endlessly patrol the streets, security guards sit outside shops and cafes in crisp blue uniforms and drivers recline on their motorbikes to have a nap. I never get bored of watching the constant swirl of street life here in Hanoi. We live just a ten minute walk away from Hanoi’s Old Quarter, which I think of as the heart of the city. The streets of the Old Quarter are part of our daily life now and we drive or walk through them regularly on our way to work or to eat at one of our favourite cafes. At the weekends we’ll walk in to wander around the lake, buy croissants from a bakery, have a meal and stop in for our weekly 60-minute massage. I will miss those massages so much when we leave Asia! Yes, they are messy, noisy, and grubby and they often test my patience, but the kids I teach are also one of the things I love about Hanoi. Teaching in Vietnamese public schools has proved to be very challenging and the kids are one of the best and worst aspects of the job. After my most difficult classes I often leave school defeated and exhausted, wondering why on earth I thought it was a good idea to work with children. By contrast, I look forward to teaching my favourite classes and it’s hard not to smile when a horde of kids greet you with waves, high-fives and high-pitched cries of: “Hello Teacher!” For better or worse, teaching the kids of Hanoi has definitely been one of the more memorable experiences of my life. Have you been to Hanoi; what do you think of it? I can definitely relate to living life inside, Amy. It’s the same in Denmark because it’s so cold outside and everyone tend to stay indoors. That’s what I love about Central America and SE Asia in particular. It’s been so many years since I visited Hanoi, but I’ve wanted to return for some time now. It truly is a chaotic, but charming capital. Hanoi definitely is chaotic but charming Miriam 🙂 I remember rarely venturing outside during the bleak British winter so it’s nice to have a change in Asia. But the beer is cheaper in HCMC 🙂 We enjoy it there too for all the things you mention. Have you experienced the 3-5am meat cutting markets in the Old City? There is a large section which during the day has normal activities (packed with food places and shops) but then during the night they put down tarps and bring in loads of carcasses to cut up. Very spooky/gory and can scare the heck out of you with all those cleavers and blood:) It is amazing how every section of the Old City is used constantly. That does sound spooky Kate! I’m a vegetarian so we don’t seek out meat markets; there’s usually a sawn in half pig carcass or three on the street outside one of my schools though! It seems as if adjusting to the chaos would be exasperating, but looks as if you and Andrew have figured it out and made it work for you. A weekly massage would be hard to give up!! I’m really going to miss our weekly massages Patti, we definitely won’t be able to afford them anymore when we leave Asia! Hi Amy, Hanoi sounds like a very exciting place and also very affordable. Few months ago you arrived there to teach English and you didn’t even know if you were cut out for teaching. Now you know you can do it and it has became one of the most memorable experiences of your life. It has been a journey of discovery about a new culture and in particular about yourself. I have enjoyed all your posts on Hanoi and it is firmly on my list of places to go. Yes, I”ve been to Hanoi twice, and I’m with you! I really liked Hanoi even more than HCMC! I had a great time in Vietnam, and would love to go again in the near future. Vietnam is awesome, I’m trying to make the most of our last few months here Victoria – I will miss Hanoi! Oh, the joy of Asian street life. Something I miss daily. Life here in the US always seem so incredibly bland in comparison to so many areas of the world. 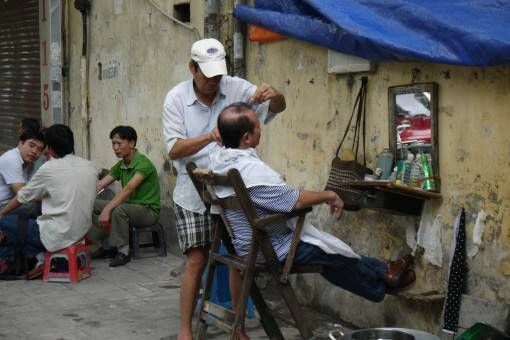 Love the picture of the streetside barber! 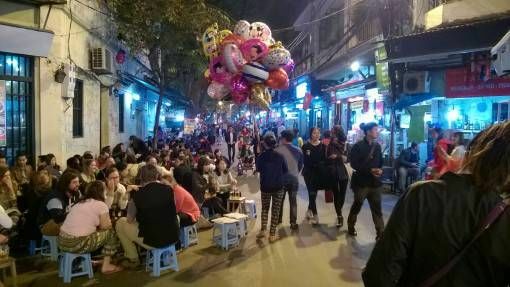 Even though it’s pretty cold here in Hanoi at the moment there’s still a lot of street life to be seen; it will feel strange being able to walk down an uncluttered pavement again when we get back to the UK! 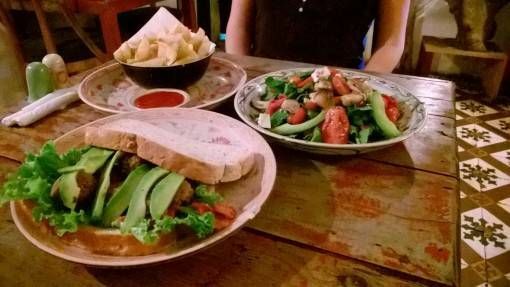 Have you gotten into the cafe culture in Hanoi? It was brutally hot when we were in Hanoi last May — it felt like all we could was go sit under those fans sprouting mist at Cong Caphe. Oh, how I loved that! 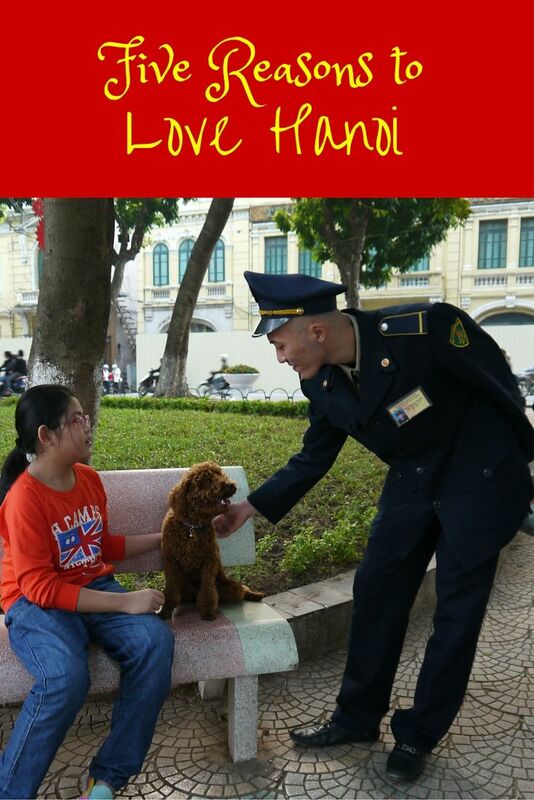 I love Hanoi… The craziness is so fun… Makes London seem calm! You’re right, it does Sally!